Aydın Doğan, the founder and honorary chairman of Doğan Holding, has stated in an open letter addressing Turkish President Recep Tayyip Erdoğan that he never claimed the media can replace governments. Meanwhile, AKP deputy Mehmet Metiner has said Doğan has no right to call the president a liar and they would know “to tear the teeth and nails off” the media mogul if necessary. Meanwhile, it was reported by the pro-government daily Star today that the media organs and their social media accounts of Doğan Media are to be put under investigation to determine whether if there is systematic terrorism propaganda or not. 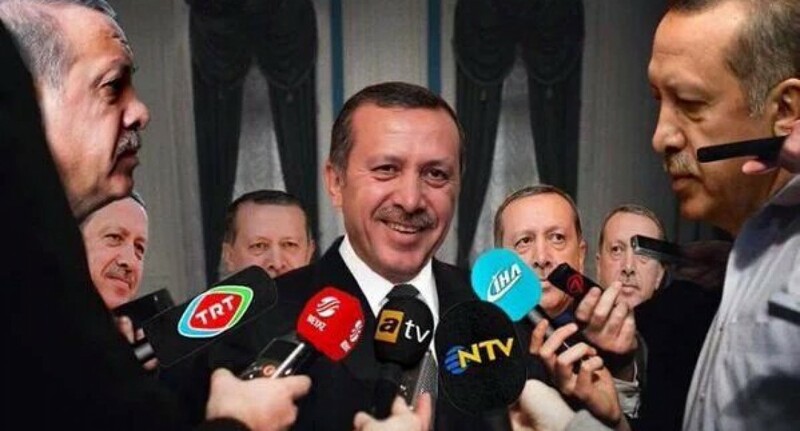 The Journalist’s Union of Turkey reported that at least 10 journalists will be at court on October due to 8 trials. Dokuz8Haber, an independent journalism platform founded through efforts of both professional and citizen journalists, had its twitter account blocked to access from Turkey due to an order by the Ankara Gölbaşı Public Court of Peace; famous for nearly all of the online news censorship orders in recent years. Dokuz8Haber tweeted about the situation today and pointed that their account is blocked as a whole while similar attempts of censorship currently generally target a specific content. Veteran journalist Hasan Cemal has a second investigation started against him for “insulting” president Recep Tayyip Erdoğan with a column. He gave testimony to the prosecutors about it today. The first investigation has started earlier this month. Turkish police raided Diyarbakır offices of Kurdish news organs and association Monday evening; detained dozens according to reports. “Turkish police raided offices of DİHA, Azadiya Welat, Aram Publishing and KURDİ-DER in the main Kurdish city of Diyarbakır, and took 32 reporters, journalists and laborers of the media foundations into custody” DİHA reported. The authoroties used the excuse of some terrorism suspects allegedly hiding in the building after an attack to Turkish security forces. The building’s doors and windows were broken, staff of the media organs and the association were held at gunpoint and battered according to reports. The police could not find the suspects they were allegedly looking for. The police provided a search warrant signed by a prosecutor issued 10 minutes before the mentioned attack occurred. This raised suspicions that what the police doing was an operation of intimidation rather than actually searching for suspects. A total of 32 people were detained and they were released on the early hours of Tuesday after questioning. Some sources say 1 of the 32 reamisns in custody. Ironically, Prime Minister Ahmet Davutoğlu was speaking about press freedom at The UN simultaneously with the police raid. There was “no limit for” and “no restrictions against” journalism in Turkey; according to the PM. Tivibu, a Turkish app to watch TV on computers and mobile devices, discontinued featuring Bugün TV, Samanyolu Haber and Mehtap TV; three pro-Hizmet TV channels. The weekly Nokta asked for police protection following the developments of their Recep Tayyip Erdoğan cover which had the issue banned, an editor detained and their offices raided. President Erdoğan has spoken on live TV and said Nokta will “pay the price” for that cover. It is reported that the magazine is receiving constant threats and made an official request for police protection. Bianet reported that five journalists from the daily Evrensel joined the long list of colleagues who “insulted” president Recep Tayyip Erdoğan. According to Bianet, responsible editor Vural Nasuhbeyoğlu and owner Mehmet Akif Koşar have a trial started against them for insulting the president. The first hearing is on October 1. Meanwhile, columnists İhsan Çaralan, Mustafa Köz and Erol Aral are under investigation by the authoroties for the suspicion of insulting Erdoğan by their columns. Cafer Solgun, columnist for the daily Meydan, happened to be the latest journalist to be criminally investigated for “insulting” Recep Tayyip Erdoğan by his work. However, the related column belongs to somebody else and Solgun’s name was printed on it by mistake. The daily reported that they have corrected this mistake and apologized to their readers on both print and online but apparently the prosecutor did not see the correction. 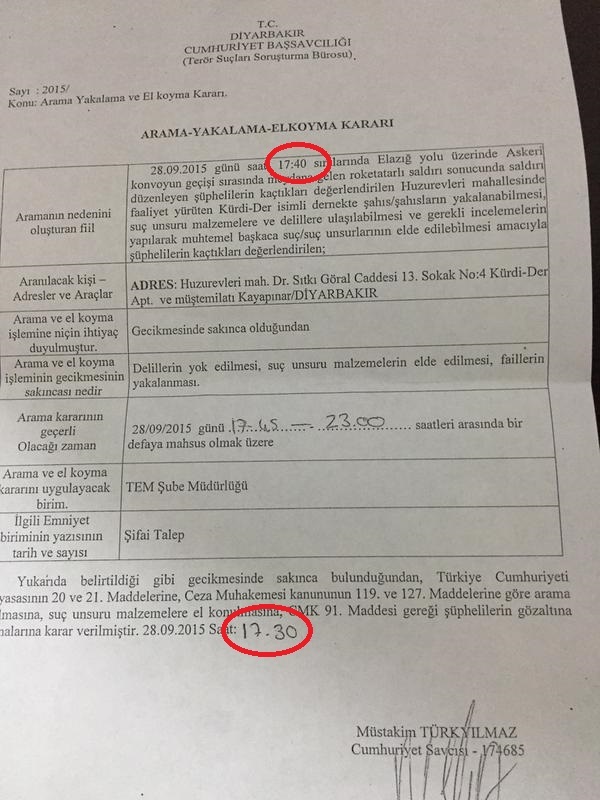 Ahmet Altan is subjected to the second investigation for “insulting” Erdoğan in two days. “A day after an investigation was launched against journalist and writer Ahmet Altan over his supposedly insulting President Recep Tayyip Erdoğan on the Samanyolu news channel, a second investigation has now been launched on the same grounds over an interview he gave a website” Bugün reported.